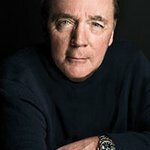 Two weeks ago, author James Patterson pledged to donate $1.25 million to school libraries, and Monday morning, Patterson increased that amount to $1.5 million. Patterson will be making his donation via the Scholastic Reading Club program. Schools can receive between $1,000-$10,000 in grant money to support their libraries. The deadline to nominate a school is May 31, 2015. Click here for more information about Patterson’s library grant.